Kathamndu – earthquake victims living outside after the biggest quake in 80 years. Image via simcsea via Flickr. Nepal has dominated the headlines this week following a devastating earthquake, which at the time of press, had already claimed the lives of more than 4,000 people. Just as swift, however, has been the charitable response. The Red Cross has committed an initial $300,000 of aid as well as an additional 19,000 non-food relief kits including essential items such as clothes and mosquito nets. Meanwhile, online fundraising platform Global Giving has already raised approximately $570,000 as part of an attempt to raise $1m to support victims. 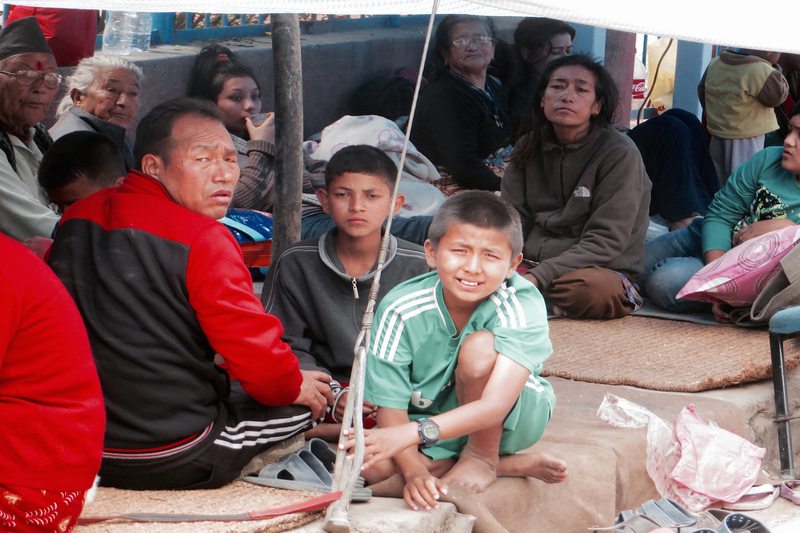 Members of the bitcoin community, in Nepal and around the globe, have also rallied around the cause, seeking to provide both needed aid and a reminder of how bitcoin can help charitable efforts lower the cost of accepting international donations. See Change Foundation founder Erik Bouchard, for example, confirmed that his organisation has so far received over 100 bitcoin donations in 36 hours, “ranging from $1 to $100 [per donation]”. The Nepal-based charity is seeking donations to cover the costs of providing short-term housing units to those affected by the earthquake. 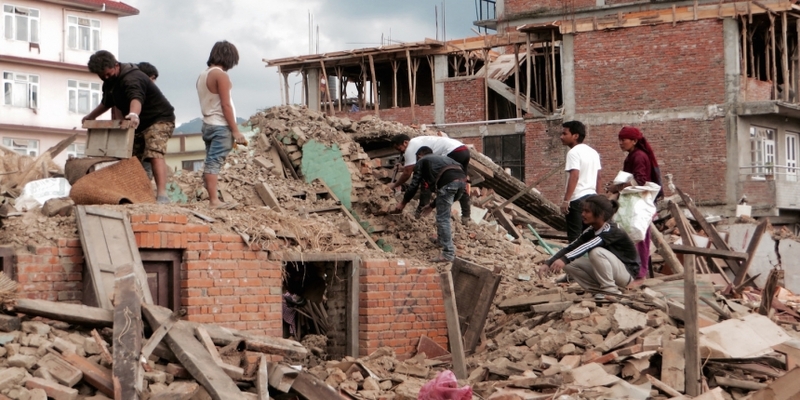 More than 740 homes, he said, have been destroyed in his small district, at the epicentre of the quake alone. “People are still sleeping in the streets and open spaces,” Bouchard added. Donations will also be used to help pay towards a blood drive, medical care, transportation and lodging. Bouchard was well-suited to tap this funding stream, noting that the decision to accept bitcoin donations via BitPay in November last year followed requests by the technology’s passionate Reddit community. The See Change Foundation’s rural Red Cross CPR / First Aid certification initiative session. The photograph was taken just before the earthquake struck. Image via See Change Foundation website. The See Change Foundation is not alone in its efforts, though. Bitcoin-focused non-profit, the BitGive Foundation, is accepting bitcoin donations on behalf of Medic Mobile’s Nepal’s office, which then cashes them out into fiat using bitcoin payment processor BitPay. 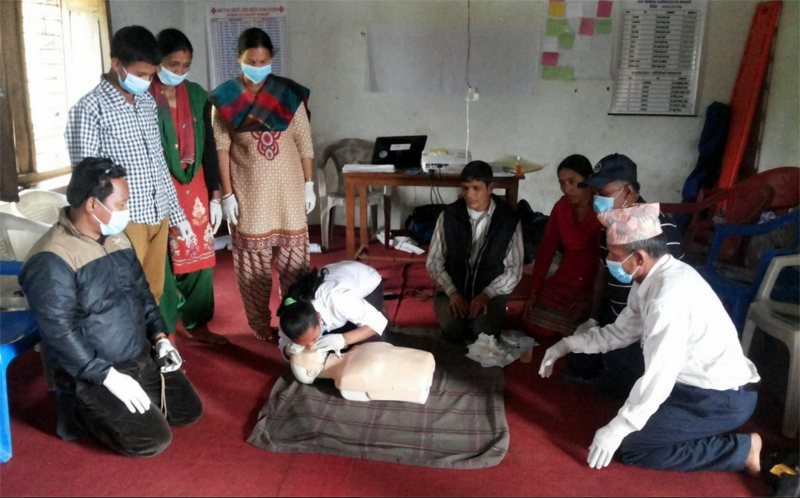 Medic Mobile, co-founded by Josh Nesbit, a former pre-medical undergraduate student at Stanford University, offers a software that enables healthcare professionals to collect data, analytics and send messages in remote areas. Companies in the international cryptocurrency space have also reacted to Nepal’s earthquake by coordinating donation campaigns. The American Red Cross, the official affiliate of the International Red Cross and Red Crescent movement is accepting bitcoin donations via bitcoin tipping service ChangeTip and processing the transactions via BitPay. Kyle Kemper, head of tipping at ChangeTip, said that the American Red Cross was proving that it was a leader in innovation by leveraging social media, bitcoin and ChangeTip to procure donations in the digital currency. “They are just scratching the surface of the potential for this technology but we are hoping that the volume of donations and the money raised gets them thinking about the opportunities to leverage this technology not only in raising funds for relief but for distributing relief,” he said. Victoria Van Eyk, VP of community at ChangeTip took to twitter to announce the amount of bitcoin donations sent to the Red Cross so far – which at the time of press, stood at more than $3,000. The funds, while still a small part of the relief effort, however, are clearly appreciated, and as evidenced by on-the-ground reports, much needed.